The 'If You Could' November prints have been released. Responding to the question, ‘If you could do anything tomorrow, what would it be?’, these two colour, B2 (655 x 480 mm), limited edition screenprints are only available to buy from the If You Could website. 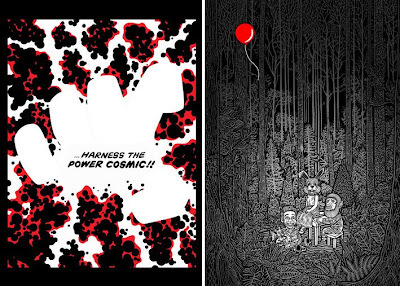 This month see prints featuring work by Kam Tang and Matthew Green, both of which are now available from Ifyoucould for the duration of November. As always they're only available until the end of the month and as with previous months these prints will be available to pre-order for the the entire month of November and never again thereafter. All prints will be dispatched after the edition has been confirmed at the end of the month and they are printed and signed by the artists. As a celebration of this year’s prints series Ifyoucould will be holding a month-long show at Kemistry Gallery in early December, more details on this soon.